The first quarter in Brazil is the official summer season in South America, even though Brazilians start to feel some summer vibes as early as November. Even if not obvious, the first trimester of the year offers great opportunities in Brazil for your ecommerce, you just have to know how to take advantage of the main seasonal dates. In the beginning of the year, Brazilians are all about travelling and the post-Christmas Holiday drives them to seek the best discounts. When summer vacations are over, it’s time for the long-awaited Carnival, in February. March doesn’t stay behind, bringing two important shopping dates in the country. 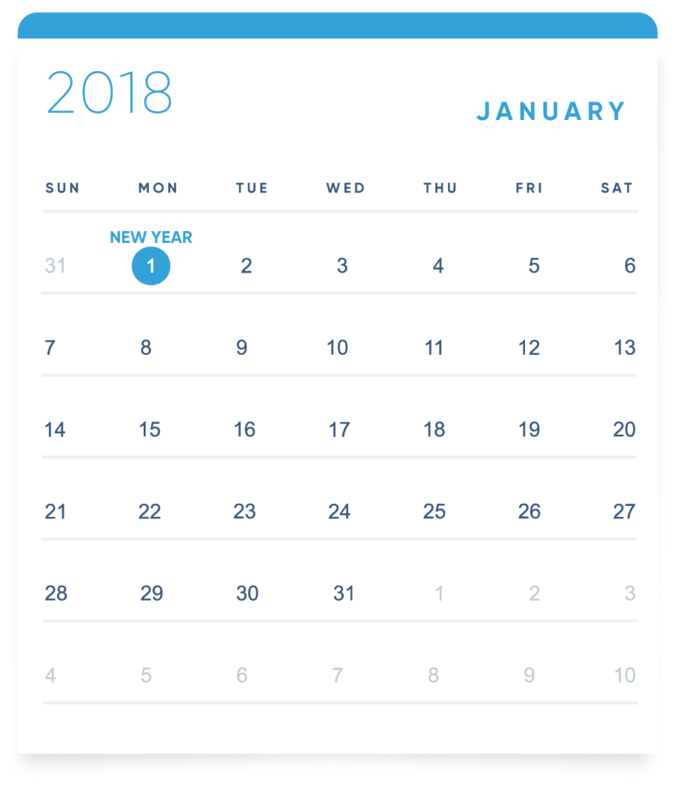 To help you identify exactly when and on whom you should focus your marketing and sales efforts, we’ve listed out the seasonal dates and holidays for e-commerce sales in Brazil between the months of January and March. THE MONTH OF HUGE OFFERS AND DISCOUNTS. It’s summer time and most of the Brazilian population go travel. In fact, according to the Brazilian Institute of Public Opinion and Statistics (IBOPE), 84% of Brazilian internet users generally travel between Christmas and the end of Carnival. Also, Brazilians usually have more money to spend around this time of the new year because of the annual 13th paycheck distributed in late November and early December that is guaranteed to them by every employer. Extra spending money coupled with traditionally long vacations are the perfect combination to feel free to explore the country or other parts of the world. How could this information be useful for international ecommerce merchants wanting to increase their sales in Brazil? Well, the start of a new year brings new opportunities, and the ultimate one in January for your e-commerce are post-holiday discounts! Even though some Brazilian shoppers are still recovering from the holiday festivities, many of them actually wait to make their purchases after Christmas and New Year’s Eve, expecting to take advantage of promotional offers, with discounts of 30/40/50% off in many stores across Brazil. The keyword here to sell more is creativity. E-commerce owners must make a bet on it to attract (and retain) costumers. Brazilian January shoppers look for the best deals all over the internet, so you need to catch their eye as soon as they enter your website. Think about spending some extra time improving your products description, adding banners, offering exclusive discounts and providing the best experience to your costumer. CARNIVAL TIME AND THEN BACK TO SCHOOL. Once February comes around, many Brazilians cut back on spending. Their wallets are tight from Christmas gift-buying, summer traveling, and the long vacations that run until about the end of January; not only that but taxes are due in February. That’s why retail sales in Brazil decrease during this month. Take some spare time to plan ahead for the major dates that are coming in March and April. Meanwhile, there are some opportunities you can profit from. Around the middle of February, students will go back to school. You can benefit from it by offering special back to school discounts, but remember to plan ahead! Families usually start preparing one month before, so your marketing efforts should start in January. If you are only reading this now and are already late, do not despair. Extend back-to-school promotions to get those last minute shoppers and don’t forget to sell to college students who may be interested in starting a new extracurricular activity or course. Offering fast/free shipping is also an excellent idea. Enjoy the Carnival, because the real selling period is about to start! In Brazil, we have a saying that goes: the year only starts after Carnival. So if you are not on the travel or hotel industries, this may also apply to you. You’ve probably heard about the Brazilian Carnival celebration, the colors, the dances, the parades, the music. It is a very traditional period in Brazil and the entire country stops during this one-week break. A quick assumption to make by ecommerce merchants would be that Brazilians are participating in a shopping frenzy during Carnival, similar to the lavish holiday spending associated with Christmas in the United States. But that is just not true, as the saying exemplifies. 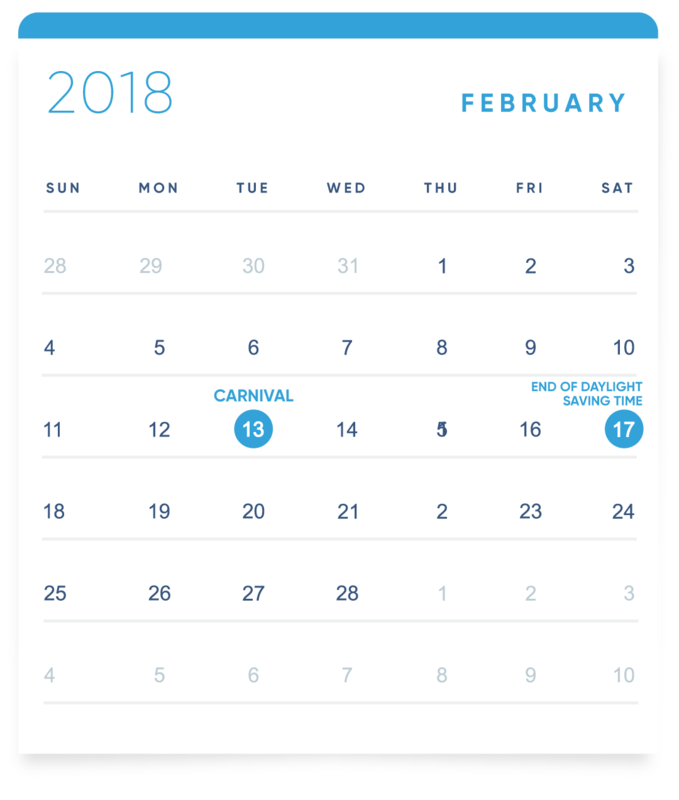 Brazilians usually spend the period either partying or resting, since Carnival is the last stretch of holiday before the normal workday routine and school start again. In any case, Brazilian Carnival days are full of colors, music, dances and parties. So even if you don’t sell anything that goes with it, you should get in on the act, too, and set your website to mimic this cheerful holiday to, at least, create engagement. Brazilians frequent comparison shopping engines such as Google Shopping and Zoom.com.br to find the best deal for the product they have in mind. Customers search for a product and the website generates a list of prices from different vendors. Registering your international ecommerce goods on a Brazilian price-comparison website will allow you to effectively reach Brazilian consumers, during anytime of the year, even Carnival. 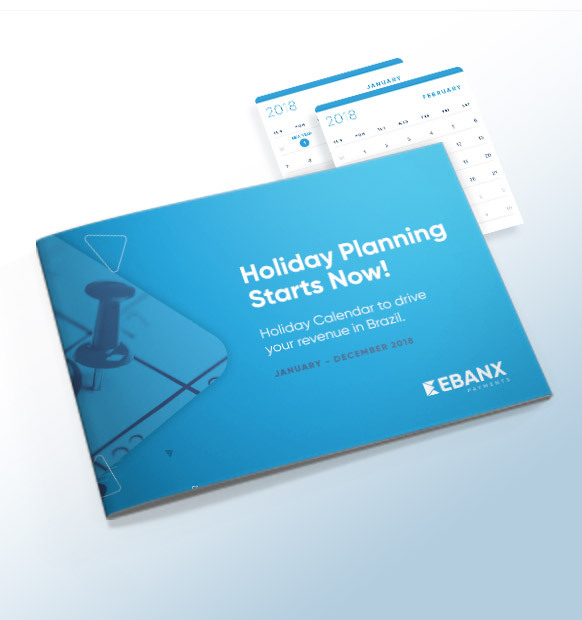 Download the Full Holiday Calendar for E-commerce in Brazil. celebrate the consumerism and women empowerment. 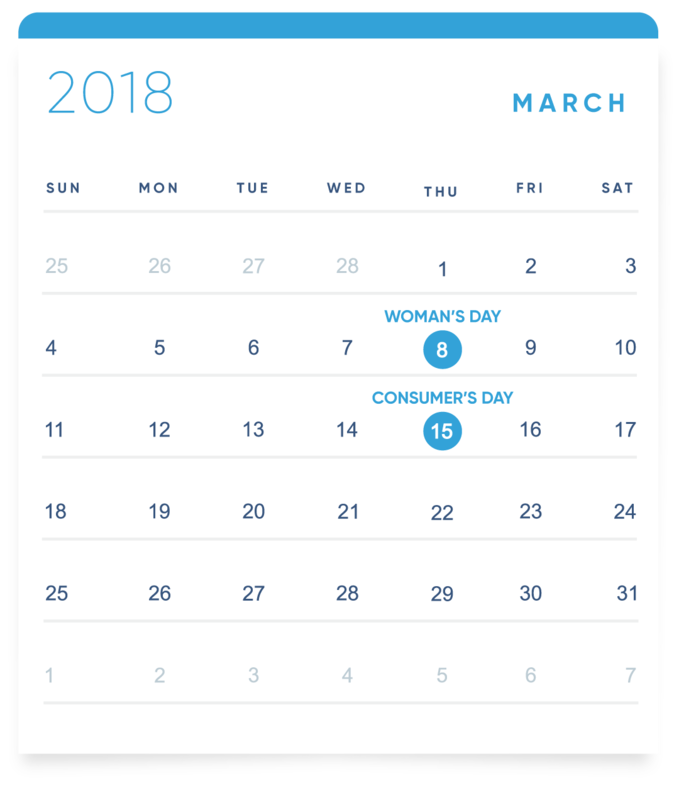 Warming things up, March brings two important dates to sales increase again: Consumer’s Day and Women’s Day. On March 15, consumerism is celebrated as a way to commemorate the value of a strong economy. The date became popular in Brazil in 2014, propagated by Buscapé Company with the intent of creating another sales event as great as Black Friday. The goal was to boost sales during the month of March, considered until then a weak month for ecommerce. On Consumer’s Day, Brazilians are searching for bargains on the big presents they didn’t get for Christmas. Now is the time to promote serious sales on high priced goods. Many local ecommerce merchants offer discounts up to 80% off. To compete with locals, offer a rare deal, packages, and free shipping. Send empowering messages to women and allies on social media by sharing relevant content in Portuguese or with translations. Showing your business cares about women’s achievements can help you attract new Brazilian consumers on this important holiday. The most common items purchased on IWD are feminine health and beauty products. Many women wait to buy Beauty Products and Cosmetics on this day. Be sure to offer a good deal or bundle discounts for higher conversion rates among Brazilian buyers. Now that you know all about the first quarter’s key dates for ecommerce in Brazil, don’t forget to plan ahead for next quarter’s huge holidays, Easter, Mother’s Day and Brazilian Valentine’s Day are waiting for you!